Received the goods today. (Including the mints! Thanks) This is the first time I have dealt with your company & I am very impressed with your efficient yet friendly approach. I particularly liked the way you kept me informed about what was happening with the order. TRRS (aka 4-Pole) 3.5mm Audio Jacks are becoming more and more common. Whether it's your smartphone's headset socket or your new laptop's audio-and-microphone combination jack, TRRS is here to stay. 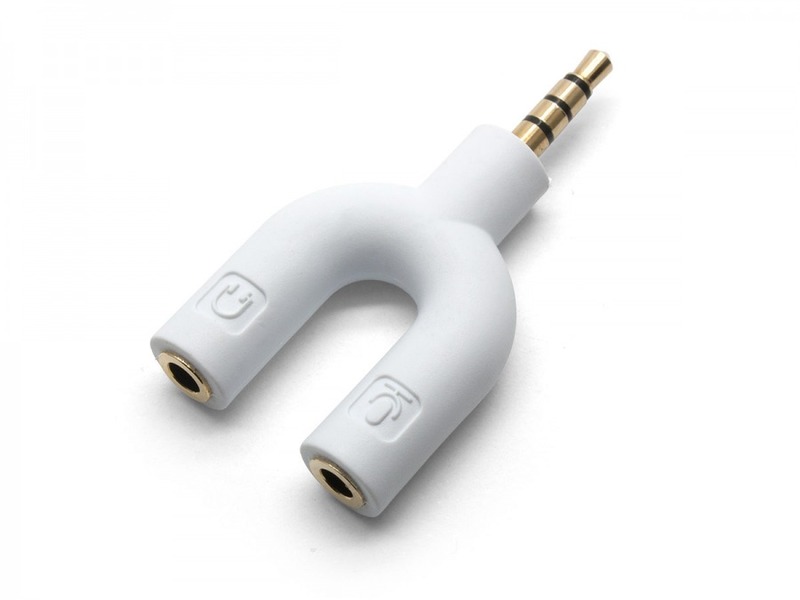 With this compact splitter, you can now connect regular stereo headphones and separate mic straight in, with clearly labeled 'headphone' and 'microphone' sockets. This adapter also converts any headset which uses two separate 3.5mm male jacks into a single TRRS combination audio/microphone plug for use with a wide variety of phones, tablets, laptops and multimedia devices. Great for use with Skype apps, gaming with voice chat and other VOIP systems which use a 4-Pole 3.5mm input. Wired for the CTIA standard on the TRRS plug. There's plenty of room between the female sockets for just about any 3.5mm plug barrels to sit side by side! Compatibity Note: Due to the different configuration of some TRRS sockets, this adapter may not be compatible with all devices, including Nokia smartphones, without an additional wiring adatpter (CTIA to OMTP). 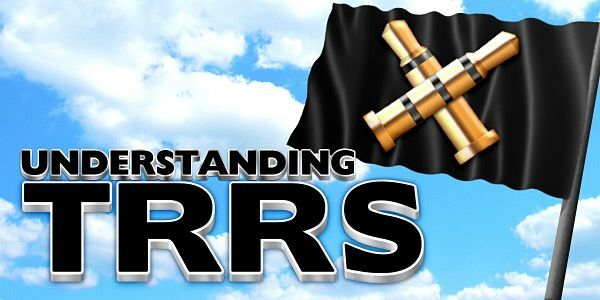 Please see our Understanding TRRS Blog for more information. Please check your equipment before purchase. Thanks for your exceptional service, I only placed the order at 13.13 and I received notification of despatch at 13.35, that sort of service deserves recognition, well done!